This week my crack staff and I descended upon Miami, California to get to the bottom of the song “Rhythm Is Going To Get You” by Miami Sound Machine. We caught up with lead singer Gloria Estefan at a fancy Miami tanning salon. Pop Justice: In 1987 you claimed that quote “the rhythm (was) going to get (me)” unquote. What did you mean by that? Pop Justice: And once the rhythm quote “got (me)” unquote – what was it going to do? Pop Justice: And then what? Was the rhythm going to assault me? Enrique “Kiki” Garcia (drums): Objection! Pop Justice: After dancing, what was the rhythm’s agenda? Gloria: I don’t know. I’ve never stopped dancing. Pop Justice: Well, the rhythm never came to me. Pop Justice: No. I was in my home patiently waiting for the rhythm. It never came. Gloria: I’m sorry to hear that. I assure you that it’s on its way. Pop Justice: The rhythm is on its way? Gloria: Yes. I’ll see to it that rhythm arrives at your doorstep within the next 4-6 business days. Pop Justice: That’s wonderful news! Gloria: It might be a little late. Road conditions are terrible. Pop Justice: This crazy weather. Gloria: The weather is very crazy. Pop Justice: One last question. 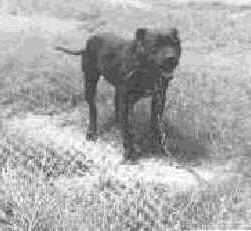 Whatever became of the dog? Pop Justice: The dog that sings with you in the choruses at 1:23, 2:14, 3:00, and throughout the instrumental breakdowns. Pop Justice: Yes, Hamburgesas. What became of him? Gloria: She was adopted by the producer Jellybean and is doing quite well in New York City. Here’s a recent picture of her. Pop Justice: …in dancing prison! Gloria: I guarantee the rhythm will get you or my name’s not Gloria Estefan! Update: I am glad to report that the rhythm arrived at my apartment, as promised, within 6 business days of our interrogation. Thank you Harefoot Courier, Gloria Estefan and Miami Sound Machine. …with a live show of music and karate! 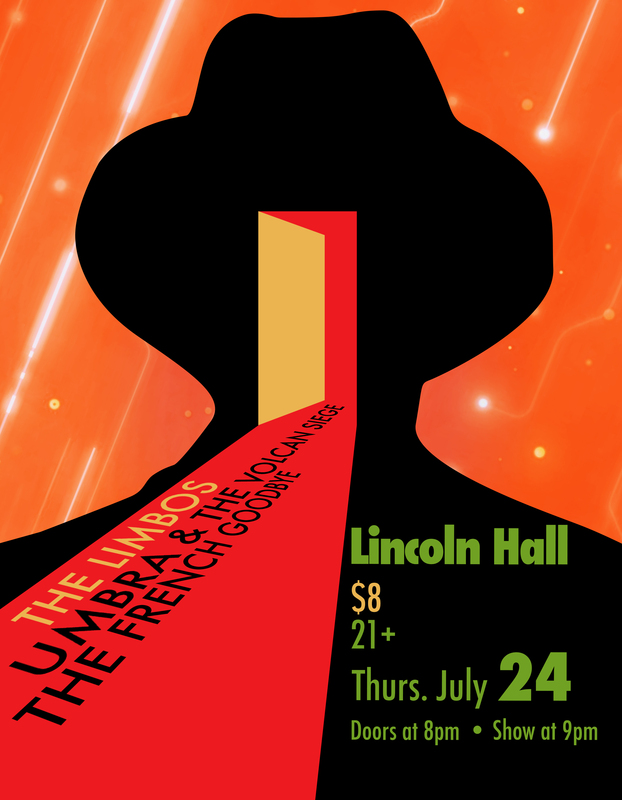 My new band The French Goodbye plays Lincoln Hall this week. We have short songs and a peculiar sound. 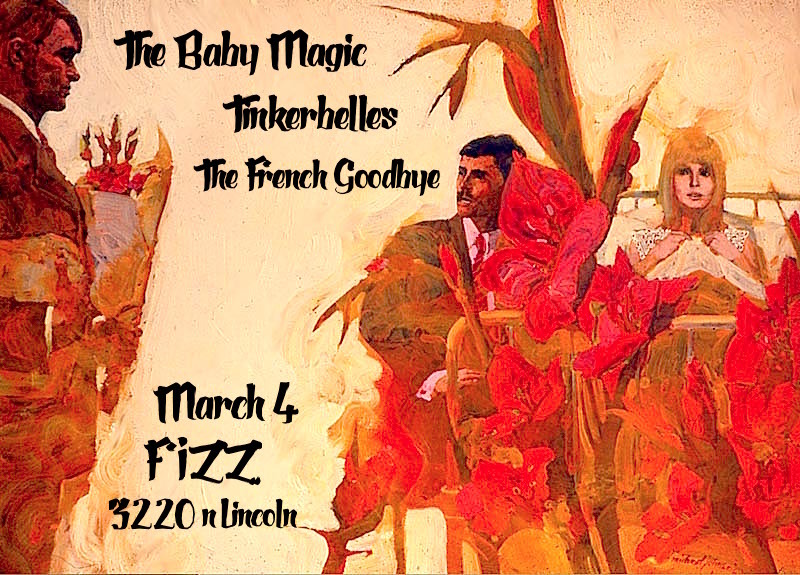 To promote the show we hired local spies to violate the privacy of our top secret band practices. We’re shooting something I wrote. It’s called Winner or Loser? Look for it in the coming months. My childhood devotion to David Letterman, compiled in grainy 80s VHS snippets. I wrote and performed the song with girl vocals by Thea Lux. 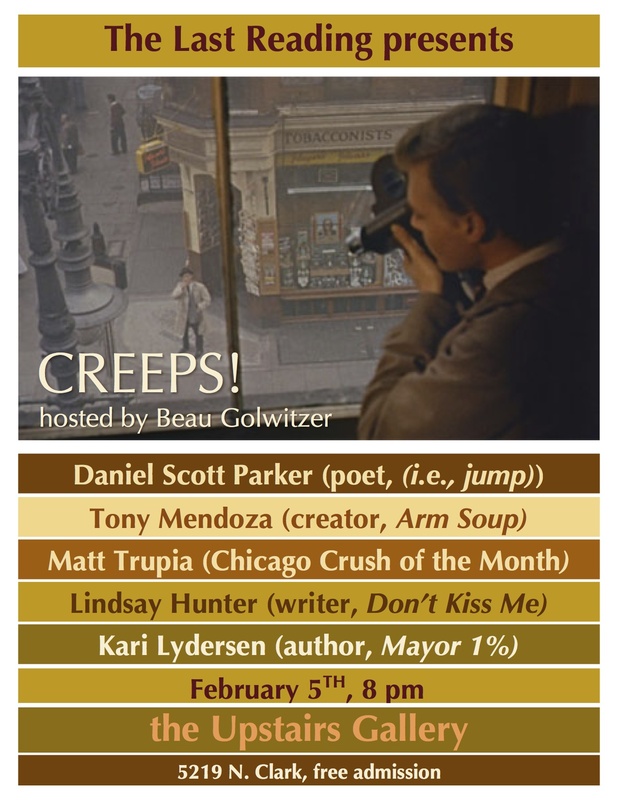 February 5 • Last Reading presents CREEPS! This Wednesday I will be performing a luridly creepy piece for the Last Reading Series, hosted by the lovely Beau Golwitzer. 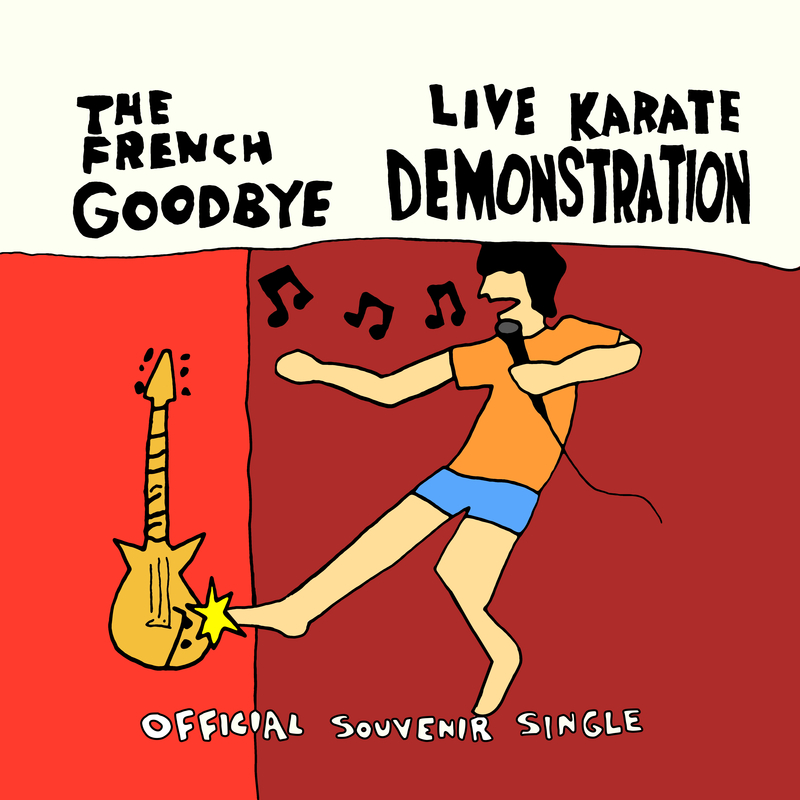 Before life gets busy, I’ll post demos of new music under the moniker French Goodbye. 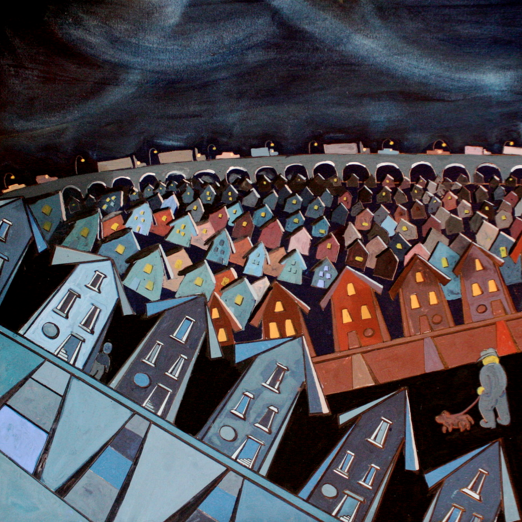 “Almost Home” is about moving/running away, with nods to improv. The original lyric was “We said ‘yes and’, got led astray”. But that seemed a bit bitter. Not sure what to do about music. A few people like it and say so. The idea is get these songs out of laptop purgatory. So they’ll emerge in demo quality, recorded on consumer quality gear. Until life gets busy again. Justin Reid Tvedt and I are making a music video for The Nurse Novels “Unbreakable Pocket Comb”. That’s Irene Marquette & Peter Renaud rehearsing the matador vignette. Look for it on your computers in early 2014. Another LA/Chicago collaboration with Andrew Peyton. I threw together a 90’s paranormal TV theme in lieu of breakfast. That’s Nick Ehart as The Man On The Bed. I can’t tell if this was satire or a conspiracy of satire.